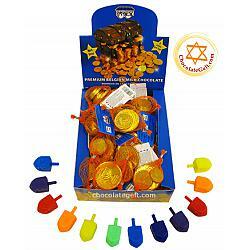 Gelt and DREIDELS Combo™ "Chanukah Party Time"
Great 15 inch Hanukkah Centerpiece Decoration. 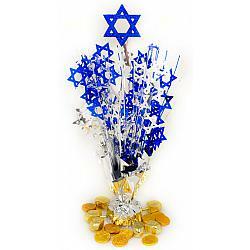 Great 15 inch Hanukkah Centerpiece. 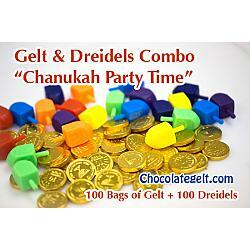 Chocolategelt.com offers all essential Chanukah supplies for a great celebration. 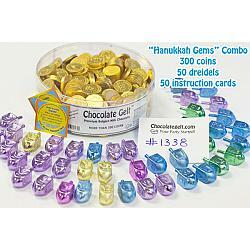 These Hanukkah combos created with convenience in mind. 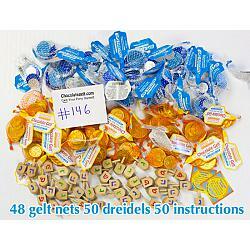 If you need supplies for a classroom presentation or a Chanukah party at your office you will find smaller combos. 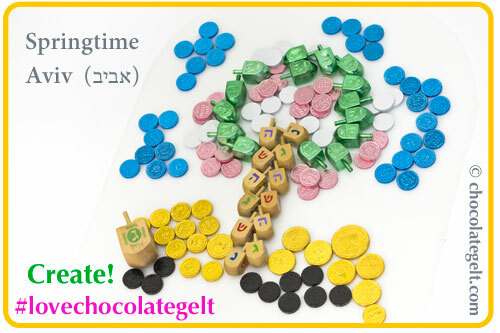 And then, of course, if you have a really big party to organize you can order our package for 500 people and enjoy delicious chocolate coins and colorful dreidels. 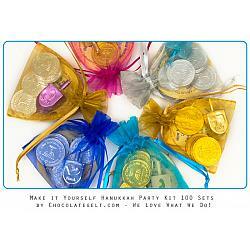 Our make it yourself Chanukah supplies kit is also a great alternative for creating mini favors for your celebration. 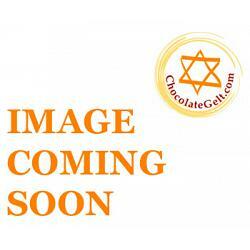 Please browse through our website and let us know if you cannot find what you are looking for. We are always eager to hear from you. 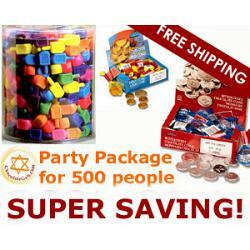 We ship from New York and deliver your party supplies quickly. 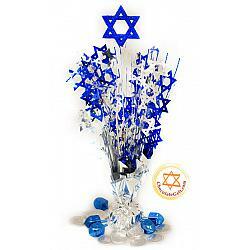 Browse our website to find creative ideas about celepration decorations for your Chanukah party. 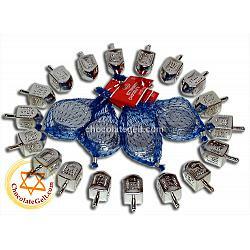 Friendly customer service available via email and phone, talk to us if you need help or have a question about any of our Chanukah products. We love hearing from you. 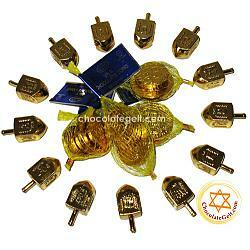 #chocolategelt is the place where everyone finds a smile!